While the trucker shortage seen across the U.S. has grabbed plenty of headlines in recent years within the industry, experts often note that its effects are far broader. Indeed, everything from rising prices to road safety issues seem to be impacted by the sector's shortfall of pro haulers and, much like that shortage itself, the hurdles could only worsen as time goes on. With tens of thousands of truckers needed yet don't exist, perhaps one of the biggest issues that springs from the shortage is companies are onboarding drivers as quickly as possible, according to the law firm of Rieders, Travis, Humphrey, Waters & Dohrmann. Because the normal training efforts may not always necessarily be undertaken, that could lead to inexperienced drivers not knowing what to do in certain situations when roads become dangerous. 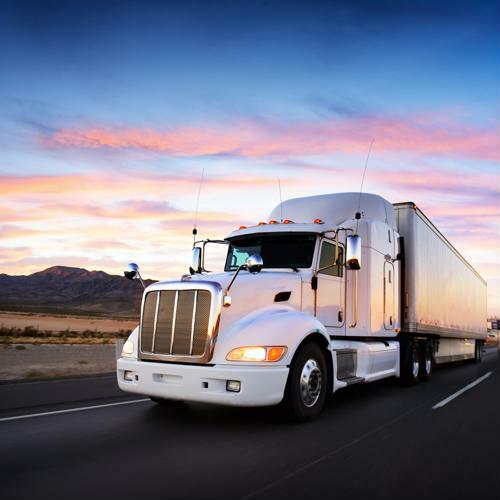 As a result, there may be a greater risk of accidents involving tractor trailers. "One of the biggest concerns regarding the trucking labor shortage is the lowering of standards by employers," said Cliff Rieders, a partner at the firm. "Driving a truck used to be a more reliable job that offered a higher standard of pay, benefits and security. Over the past few decades, the job has become more demanding and the pay has declined. Some in the trucking industry are pushing to lower the minimum age requirements for truck drivers. It's difficult to imagine a scenario in which putting less experienced drivers behind the wheel is a good thing for road safety." Meanwhile, because there are relatively few truckers available to haul goods across the nation's highways and byways, while demand for these services grows sharply thanks to the e-commerce revolution, that means shipping prices are rising, according to the CT Post. Consequently, businesses are passing those higher prices along to consumers, resulting in rising costs for everything from food to consumer electronics. For instance, the online shopping titan Amazon recently reported that it saw shipping costs grow 38 percent on an annual basis in the first quarter of 2018, and has increased prices for its Prime service by 20 percent as a result, the report said. Meanwhile, freight companies are not just reaching out to younger drivers, but also other demographic groups that represent relatively small slices of the pro driver population, such as women and minorities. Furthermore, one area where this issue is being felt acutely is within the farming sector, as companies large and small find it more difficult to ship livestock, according to The Fencepost. This may be a particularly sticky aspect of the trucker shortage because not only do these people haul the cattle or other animals, but also directly deal with the animals themselves, requiring an additional layer of expertise many new drivers cannot be expected to have. When companies are looking to hire drivers, it's important to make sure they get all the training they need to complete the job safely and competently while also providing them with high pay and excellent benefits. Doing so helps address the driver shortage by both bringing them into the industry, but keeping current drivers around longer.